1. Who are the senior management team members? This team includes the CEO and/or President, Director of Operations, VP Marketing, and other senior executive involved in the company’s policy and decision making process that effect the day to day operations and future development of the franchise. Specifically you are looking for reassuring information about; their former experience and background in the industry of the business, their views and long term vision for the franchise, do they have a five, ten year strategic plan, what does it look like, and how well capitalized is the company in order to implement it. What you are looking for is to feel that you share a vision with the management team, that you are confident that they can implement their five year plan, and support it financially, and that your business will be still be around in ten years, which is the length of the initial term of most franchise agreements. 2. Who will you be interacting with daily? Once you are a franchisee you will have regular contact with the franchisor’s field support personnel, usually one from operations and another from marketing. As you will be working closely with them, you have to ensure yourself that you would be able to have a good relationship and more than that, enjoy working with these people. Unlike a job, in franchising you actually get to select your colleagues, and if you cannot see having a successful working relationship with the people you have met then its time to move on. 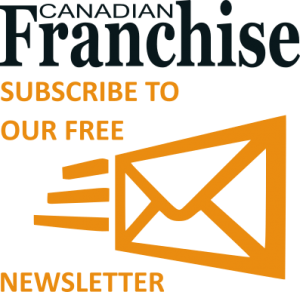 There are over 4000 franchises in Canada so you will definitely find a replacement! 3. What kind of support do franchisees get? One, if not “THE” franchisor’s main obligations is to provide franchisees with all the support and tools need to run a successful and profitable business. The franchisee’s sole responsibility is to use the tools and implement the plans. Inquire as to the kind of (operations, marketing and any other) support the franchisees receive on a regular or occasional basis. Is continuing education required? And if so, how much? How often do new marketing promotions come out? What kind of advertising does the franchisor do to generate awareness for the brand? How often are new products rolled out? All of these kinds of questions will help you determine how committed the franchisor is in providing regular support and tools to the franchisees. You want a franchisor that understands that for there to be a great relationship in franchising, both sides have to be making money. 4. What kind of support do franchisees in financial trouble get? This is a very telling question and the best way to approach the topic is simply to ask if this scenario has happened, or if it were to happen, what is the policy or how it was handled. Franchisor’s can handle these situations in a variety of ways; some will lend funds, some appoint a nominee who will come in and operate the franchise on the franchisee’s behalf, and some will just take over the location, terminate the franchise agreement and force the franchisee out. You want to know that your franchisor is in it with you for the long haul and works with franchisees that require assistance and to get them back on the profitability track. 5. What is the “turn-over-rate “and how many multi-unit franchisees do they have? These numbers are important indicators, the first of failure and the second of success. The turn-over rate refers to the number of times that existing franchise units have been sold and resold. So a high turnover rate would mean that a lot of existing franchisees sold their stores. This indicates that they did not perform as well as expected, and/or there were issues with the franchisor or the concept if there is an unreasonable high sales rate. The industry standard is about 20%. When analyzing multi-unit operators, a high number of is a great indicator of success as it means that the units of existing franchisees were performing so well that they acquired additional franchises. 6. Can I sell my franchise during its Term and what are the Renewal Terms? This information is important to know for succession planning, and because life changes all the time so who knows, you may need or want to terminate your agreement prior to its natural termination. Most franchises allow for the sale of the balance of the term of the franchise agreement (initial term is usually 10 years) on specified terms and conditions, all of which are set out in the franchise agreement. Sometimes there is a transfer fee to pay and/or the purchaser has to pay a new initial franchise fee. On renewal, there are also be fees to pay and often renovation obligations. These things are important to know in advance because (1) you want to ensure that you a buying a saleable “asset” and (2) you need to know that in 10 years the asset will still be valuable and worth renewing. If not, then don’t buy the franchise. For example, if you buy a video franchise today you know now that in 10 years there will be no value to the franchise agreement as the industry will no longer exist. This therefore, would not be a good investment. Additionally you want to insight on the cost of the renovations required upon renewal. 7. Do you have a financing program in place with any chartered bank? 8. May I have the contact information for your 3 Best and 3 Worst franchisees? The franchisor will provide you with a list of all the franchisees in the system and invite you to contact any or all of them. Ask for the 3 best and worst 3 franchisees. Call or even better, visit these franchisees, if you can and ask questions regarding the level of support they received, their rapport with the franchisor’s team, their sales and profits, and the big one, “If you had to do it all over again, would you?” When evaluating everything you have heard keep in mind from whom the information comes. Some franchisees are going to be disgruntled and not everything they say is accurate. Furthermore, you shouldn’t limit yourself to those 6 names either- pick others at random and then review all comments together and see if the same points keep repeating themselves. Are they good points or bad points? If there is an issue that concerns you, if so, ask the franchisor about it. If you are not satisfied with the comments you have heard, or the answers received by the franchisor (to any question at anytime), then you can always walk away. Once you speak to franchisees you’ll either get a good or a bad feeling about the company and this is an important indicator of your future happiness. 9. Why would I invest in your franchise versus your competition? Most franchise and product advertising sells generic features and benefits, namely, “we are better because our food is cooked fresh daily”, or “turnkey franchise”, this is not going to sell franchises nor drive sales at the unit level. There must be something different and unique about a concept that is going to ensure you still have value in 10 and 20 years from now. It is the responsibility of the franchisor to show you how their concept is uniquely differentiated in the market and has a niche or feature that consumers cannot get elsewhere. However, the franchisor should in no way have to convince you. You need to be drawn to the concept in the first place. In fact, as the franchisee you have to be passionate about the industry and the concept otherwise you will never be successful at it. Notwithstanding your natural enthusiasm, it’s the responsibility of the franchisor to ensure that there is a long term plan that will increase the value of you investment in the long term. This is by far the most valuable piece of advice I give my clients,- trust your gut it is never wrong. That feeling in the pit of your stomach, that uneasiness that you can’t figure out, is your subconscious talking to you-listen to it. It may very well tell you not to continue with the purchase of a specific franchise, even when it seems to be perfect. Over and over people have come back to me and expressed how happy they were to have followed their gut. How much will you need to invest to buy and operate? What initial and ongoing training will you receive? What level of support will you receive with managing your business? Does the franchise have the ability to remain competitive and maintain its brand value in a fast moving market? The International Franchise Association has an abundance of information about franchising and various opportunities. You can learn about franchise relations and read a “franchising 101” on their website http://www.franchise.org.